Just because you hear the word “luxury”, don’t cringe or shy away from the word. Keep reading on this page. 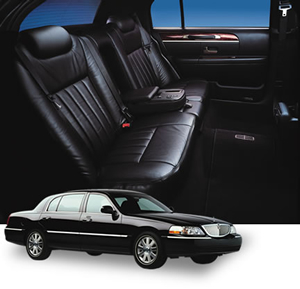 There are many situations where Toronto Airport Limousines can think of options, events and special needs where you need a luxury sedan service. Although these may not have occurred to you, and even if you can substitute them for other cheaper services, do not discount us out as a cheap sedan service, although it is not what we advertise. With a luxury limousine sedan service, you can receive the taxi car service you expect, in addition to the professionalism, cleanliness and comfort that is not found with any regular taxi vehicle. If you are arriving into the airport or leaving on a trip, these are only two situations where you might need such a service. When you do consider a luxury sedan service, depending on what you need it for, the options of vehicles becomes more available to you. With a wedding or an anniversary, you might be included to go with a stretch limousine just fit for such an event. However, if you are looking for airport transportation or even a casino trip, then a luxury sedan service will be more appropriate along the lines of what you want. Even if you are celebrating an anniversary with your spouse and want a luxurious car service to get you to the theatre and dinner, renting a luxurious sedan from Toronto Airport Limousines is the way to show her how much you care. An anniversary or birthday are some of the more specific times when we think that hiring a luxury sedan service definitely become worth the investment. When celebrating with your spouse, the precious minutes and the few hours you have together can be cut in half when you are driving into the city and worrying about traffic congestions and parking. Instead, when you hire a luxurious car service, you are sure to get the most out of your time as you can enjoy a comfortable ride in the back of one of our sedan limousine cars. Even if celebrating any one of these special events by heading to the casino, you can still consider a luxurious car service and hire Toronto Airport Limousines to get you there and back. The extravagance and elegance of a luxury sedan service are simple enough that they will provide the comfort without the hassles or high costs of a more expensive limousine rental. The hours you would spend driving can instead be spent conversing with your spouse and enjoying the night. Whether it is any one of these situations or the airport, a luxury sedan service from our fleet will turn any trip into an experience of elegance and style.